From a young age, it seemed Eileen Glass was destined for great things. Educated at Monash University in Melbourne, she completed a Bachelor of Arts followed by a Diploma of Education. Eileen worked as a teacher before resigning to travel the world where she would happen upon international federation, L’Arche and its founder, Jean Vanier. She explained the experience as “organic”, as she initially visited to meet with a friend she had connected with on her travels. “There was no plan about it. I continued on with travelling, lived in a L’Arche community in Canada for two years and during that time, Jean came to Canada and gave a couple of retreats which I attended. 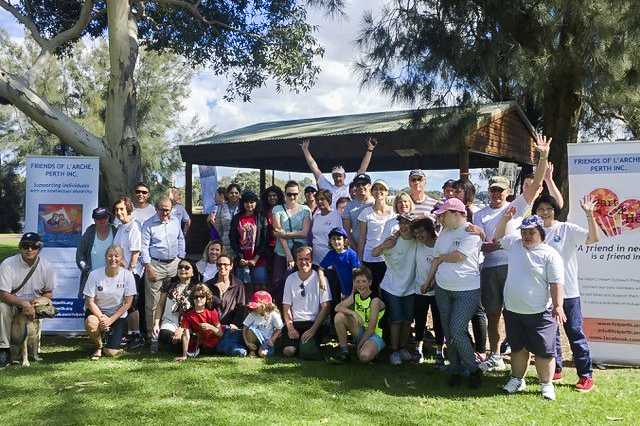 Community at WalkAbility: L’Arche Perth annual fundraiser. Photo: Supplied. L’Arche began as two communities in France, later expanding to multiple countries, including Canada, the United Kingdom, India, Syria, Haiti and Japan. 41 years ago, Eileen assisted in setting up the L’Arche community in Canberra. She explained she didn’t come home with an intention to start L’Arche, although she shared conversations with Jean about the possibility. The community came to life with the involvement of passionate people who wanted to contribute to building a community in Australia. From its beginnings, L’Arche has grown into an international federation of 154 communities in some 38 countries and welcomes people from all faiths and walks of life. The organisation recently benefited from the inspiration of director, Randall Wright, who has the experience of directing some 20 documentaries, receiving a BAFTA Robert Flaherty nomination for his feature length film, Lucian Freud: A Painted Life. Summer In The Forest will be in cinemas from the 29th April. Photo: Supplied. 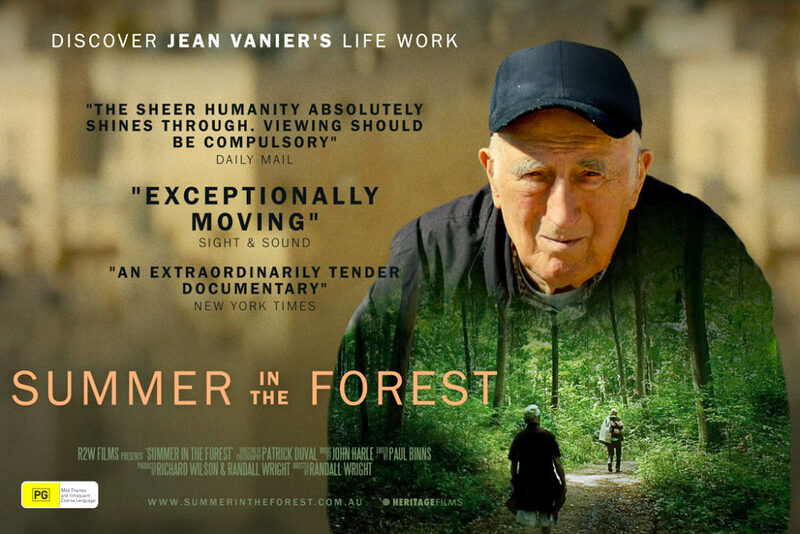 ‘Summer in the Forest’ is a documentary that explores what L’Arche is, and how it revolutionized the way in which people with an intellectual disability are cared for. Eileen assisted in the formative stages of the documentary, conversing with Wright alongside L’Arche founder, Jean Vanier. The film inspires to demonstrate compassion to those who are vulnerable, and help audiences understand the heart of what L’Arche is. Eileen described it herself as the “transformative relationship between the person with and without an intellectual disability”. British filmmaker, Randall Wright who worked for the BBC before becoming independent, set out to capture relationships and community. 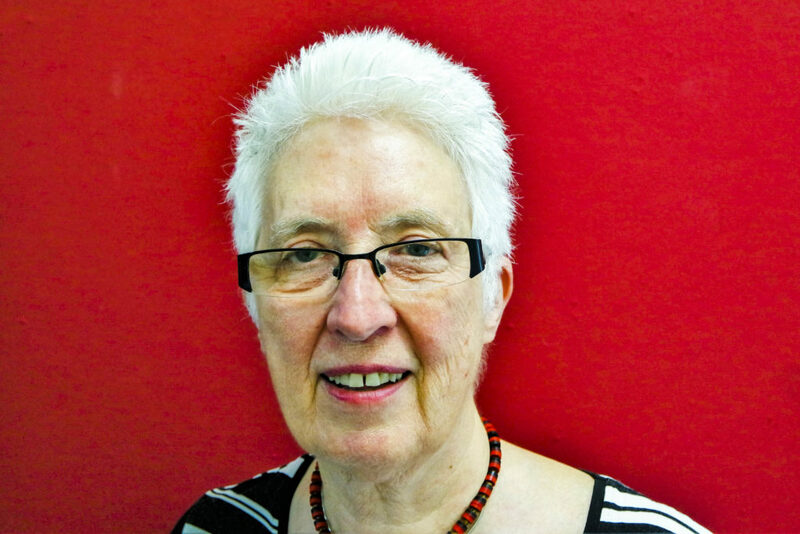 Eileen currently works part time for L’Arche Australia in fundraising and development. She is helping promote ‘Summer in the Forest’ to help raise the profile of L’Arche. Special Q+A Premiere screenings of Summer In The Forest will be in cinemas from the 29th April. Don’t miss out!